Committed to providing personalized service of the highest quality. Ensure you have a pleasant and enjoyable experience. Schedule an appointment today! 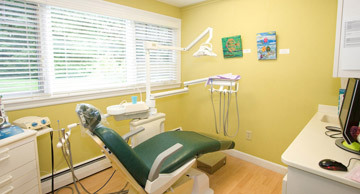 Located in Sudbury, Massachusetts, Dr. Fitzgerald’s practice offers a wide range of services, including Children’s Dental Care, Preventative Dental Care, Cosmetic Dentistry, Restorative Dental Services, and Periodontal Care. Browse our service offerings page for more information on our services and a complete look at everything we provide. Our dental practice is devoted to providing you with a lifetime of oral health and wellness to you and educating you on how to achieve and maintain healthy teeth and gums…all to enhance the overall beauty of your smile! Browse our about us page to learn more about Dr. Fitzgerald, the staff, and the technology we employ to make your visit enjoyable. Ready to schedule an appointment with Dr. Fitzgerald? We’d love to have you as a new patient at our practice. Be sure to check our new patient information page for forms and other details for your first visit. When you’re ready to schedule an appointment, or if you have any additional questions, contact us by e-mail or call our office at 978-443-6081. 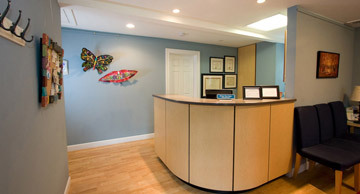 Dr. Fitzgerald is very personable, excellent dentist, office is very accommodating. She will answer any question and deal with any issue, office is clean, friendly, welcoming and comfortable. Elliott has new dentures which Dr. Fitzgerald made and he is quite pleased with the care he received and with the teeth. Nancy has new crowns and implants and she too is very pleased. Dr. Fitzgerald is an excellent dentist who is caring, thorough, and professional. She is, by far, the best dentist we have ever had and we highly recommend her to anyone! — Nancy & Elliott B. Very happy with Dr. Fitzgerald. With three busy kids we are always busy and she is very accommodating. Has helped us with two emergencies. Handles the kids wonderfully. Always makes time to fit us in and the care we receive is the best! Wouldn’t take my family anywhere else! My husband, five children and I have been patients of Dr. Mia Fitzgerald since 2003 and have nothing but the highest praise for her. 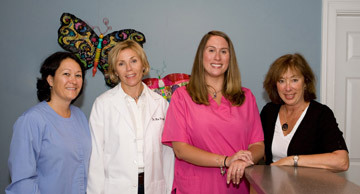 Dr. Fitzgerald and her staff deeply care for each patient on all levels. The time and attention given to each patient is remarkable in this day and age. Dr. Mia Fitzgerald is very professional, very cordial and very caring. We gladly travel 45 minutes each way to get such great dental care.